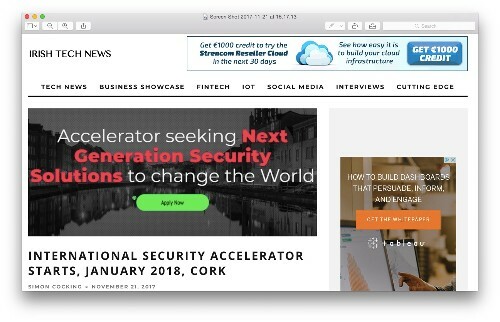 Ireland has a very powerful and unique security cluster developed over the last 10-15 years particularly around Cork. As a nation we are getting better and better at developing disruptive platforms and security is a vertical that we are particularly well placed to scale and compete at a global level. There is also strong demand coming from the angel investor network looking for opportunities to invest in the fast growing security space. These investors are looking for companies that can design, disrupt and deliver in the Wider Security areas across Cybersecurity, Internet of Things (IOT), Smart Cities, Health & Bioinformatics, Defence, Critical Infrastructure, Financial Services & Logistics.